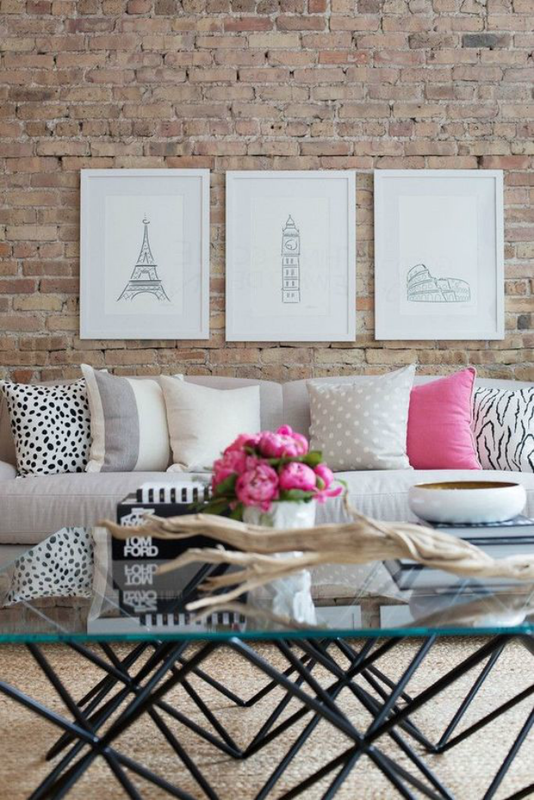 I love the patterned and colored pillows! It feels like ages ago since I moved into my new apartment, when in actuality it has only been a little more than a month, ha! As promised, I wanted to continue sharing updates with y'all as I decorate and setup the new place. It has been a pretty slow process thus far. The past few weeks have consisted of simply unpacking boxes, selling my old furniture via Craigslist, and purchasing new pieces for the living room and dining area. Before I share photos of the new furniture on here, I wanted to first discuss where I got my inspiration. I just love everything about this bedroom. The purple, mixed with gold and yellow! Naturally I first migrated to Pinterest. That is where most of the photos in today's post are from. I created an inspiration board that I used to guide my purchases in the beginning, and will continue to use it as I finish acquiring accent pieces. After awhile though, Pinterest got a little overwhelming and repetitive. So I turned to some of my favorite online magazines, websites and blogs for even more inspo. 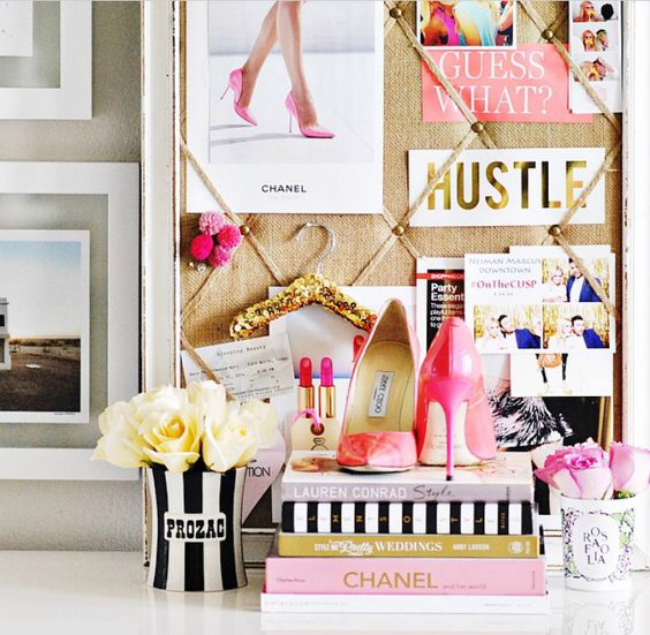 I scoured sites like Glitter Guide, The Everygirl, Society Social and of course Instagram. 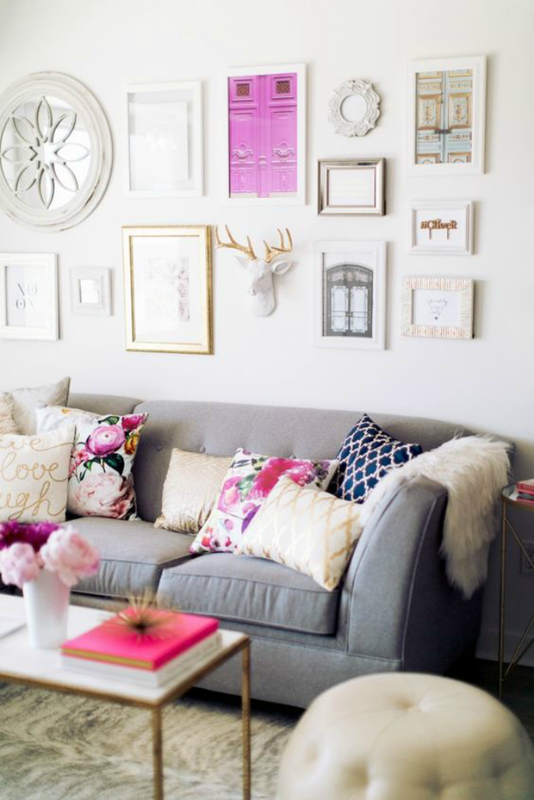 I love the grey couch, mixed with colorful pillows and gold accents. I actually found a couch similar to this color and plan to add colorful pillows soon. I also want a gold and marble colored coffee table eventually. 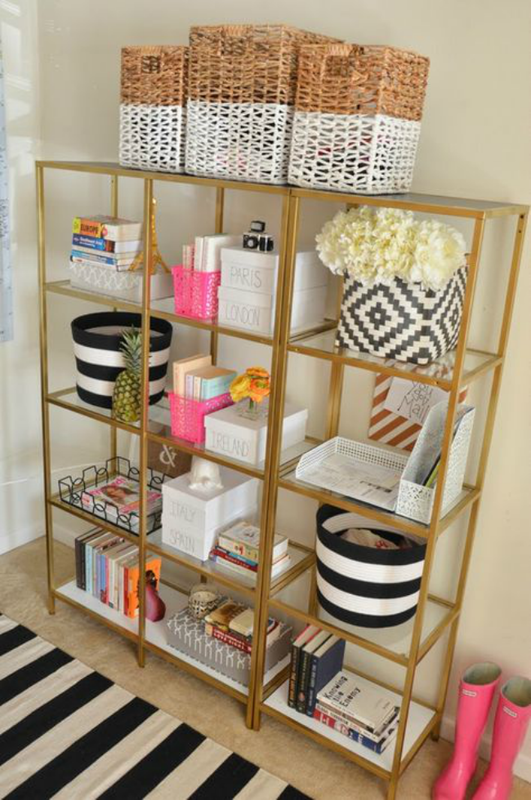 I love these gold shelves! While I ultimately chose a credenza where I can hide all of my stuff, I thought about getting one of these shelves for an accent wall that's currently bare right now. These particular shelves are from Ikea, and were originally white, just spray painted gold. When it comes to my overall style and design aesthetic, I would say that I'm drawn to a mix of Southern, preppy and traditional. I love bright colors, thick fabrics, wood finishes and unique pieces. I'm also a huge fan of gold accents. Since I finally had my own place to decorate, without anyone else to consider, I knew that I wanted the decor to scream, "ME!" This could possibly be the last time I make everything about me, my style and ultra feminine. So I wanted to take full advantage of this opportunity! 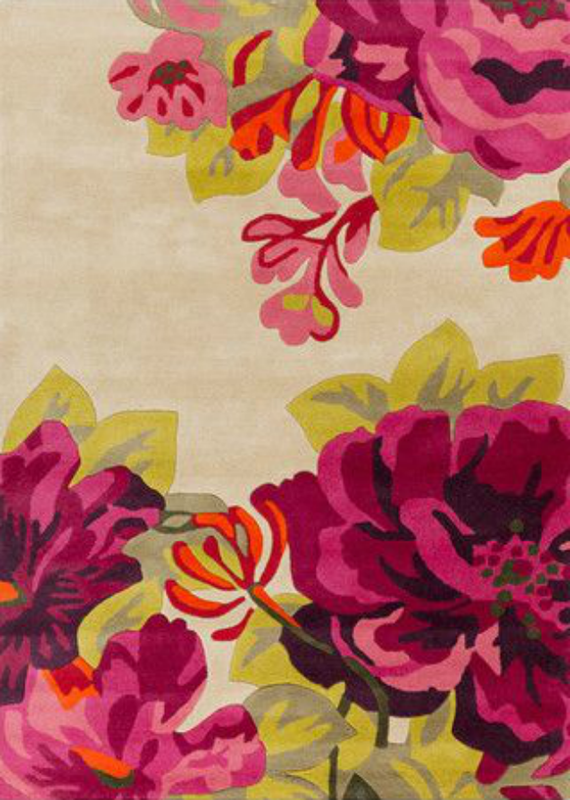 I found this gorgeous rug for $1,200 on Overstock.com. I almost had a heart attack because no way in you know where would I ever pay that much money for anything, let alone a rug. I pinned the rug still and built my entire design around it. I just knew I'd find something similar at some point. Well, low and behold Joss & Main had a deal of the day and THIS rug was in it. I got this rug for $400!!! So much better than the original price. I saw this photo on Pinterest and immediately pinned it. I have always wanted a farm table and bench. I actually found the perfect ivory farm table, matching chairs and bench. Can't wait to share! When it comes to certain things in life, I know exactly what I want. But in others, like home decor, I am totally and utterly indecisive. There were so many pictures I found that inspired me to go in too many directions, decor wise. But some things I knew that I wanted and definitely didn't settle on, were unique furniture pieces, gold accents and a farm table for the kitchen. 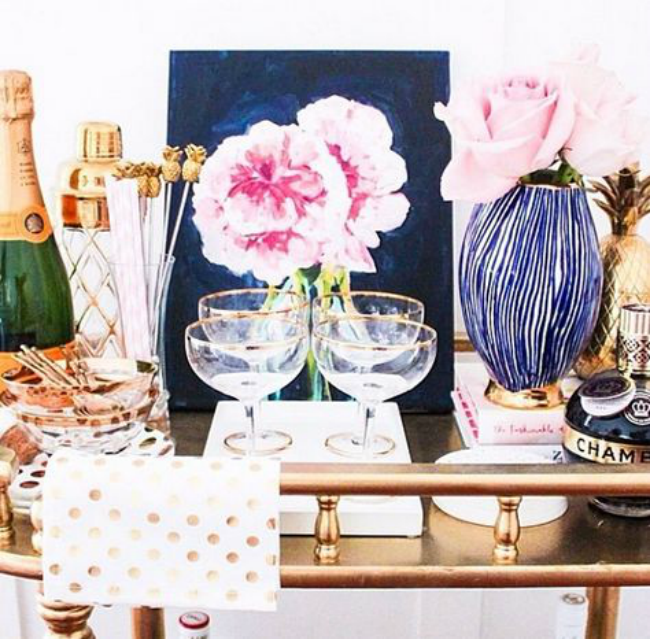 I'm looking forward to the next bar cart update. This time, something more sophisticated and modern. I can't wait to share the next home decor post with y'all, when I reveal the furniture I purchased and how it's setup in my new place. There are a few touches left I want to make, and quite a few Homegoods trips still in store for me. In the meantime, I wanted to leave y'all with some of the sites and stores that I've found pieces thus far and where I hope to purchase my remaining items. 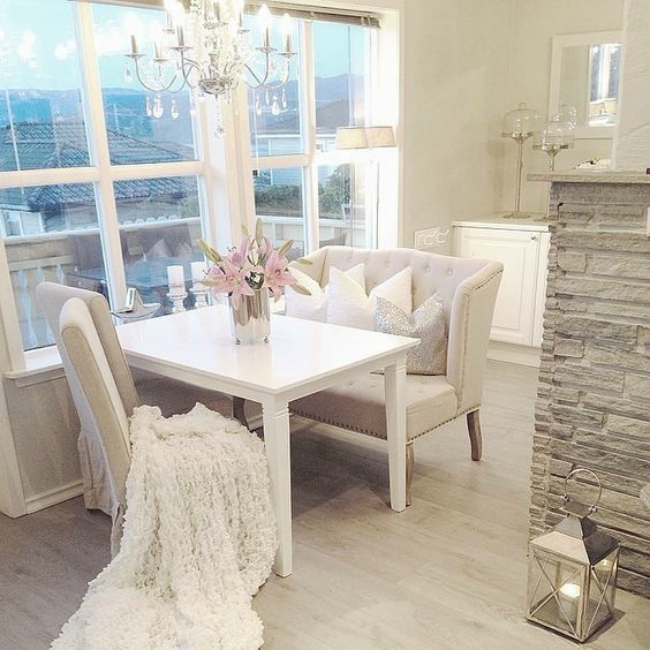 THAT rug! It's so vibrant and gorgeous!! I can't wait to see how you design your apartment around it! Isn't it?! I fell in love as soon as I saw it, and knew I just had to have it to build my entire decor around, ha! So glad I found it for so much cheaper!! Love your picks! I'm all about the travel decor! Very nice designs. Thanks for sharing it with us.